Last week I left the studio early just so I could go to the Lace Museum at Carolus Borromeus. 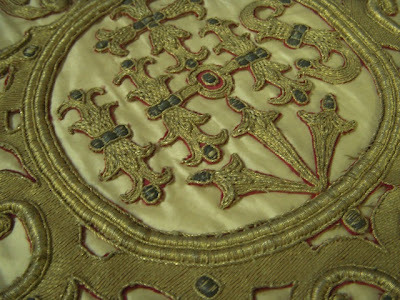 It is only open on Wednesday for two hours in the morning and two hours in the afternoon. I'm glad I didn't miss it! 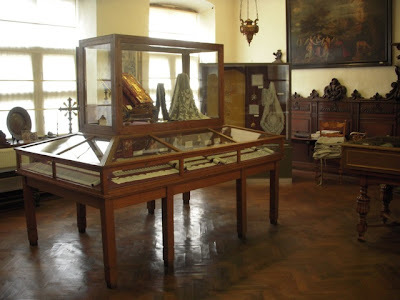 When I arrived I had about an hour and didn't want to loose a minute so I asked where I could find it. I was escorted by a very nice woman named Maria who led me through several doors, down hallways, and up a few flights of stairs. 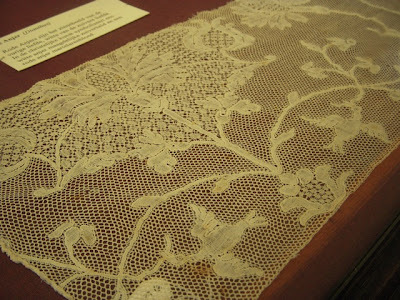 When I told her of my interest in lace and embroidery she got very excited and said I was going to "love" the museum. And I did. It's very small, just two rooms, literally tucked away in this giant church. 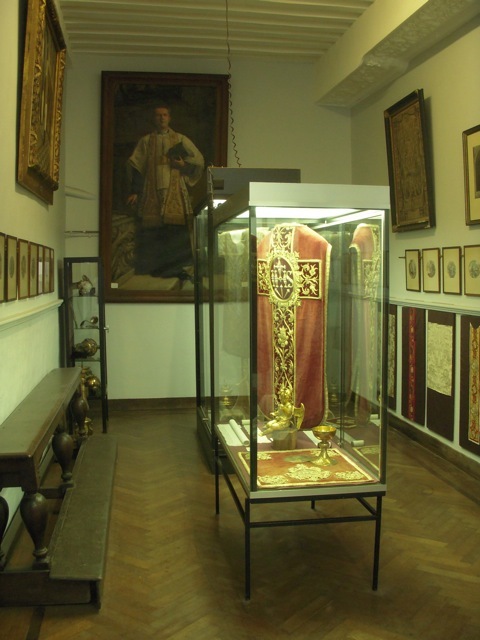 The first room includes various liturgical items and tapestries. 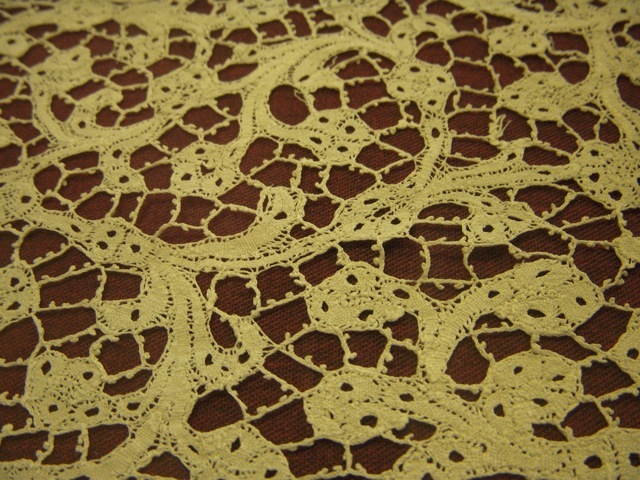 The next room and the larger of the two has all the lace, several cases of examples from the 16th-19th century. My favorite pieces were definitely the oldest ones from the 15 and 1600's, pictured here. There were also two women making bobbin lace which is fascinating to watch. 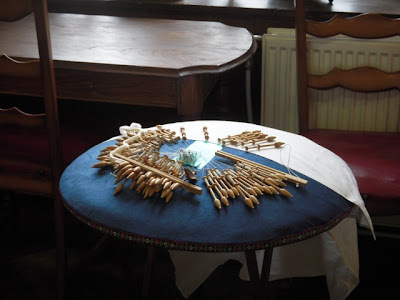 Their hands move so fast as they move around scores of bobbins and set pins to create the pattern. This is definitely something I would like to learn how to do someday. More pictures from the museum and of Carolus Boromeus Cathedral on Flickr.